Darren Sproles continues to impress in New Orleans but ESPN's Mike&Mike say he's no Reggie Bush. It's funny that the people who are here on the ground in New Orleans observing practice every day say, almost to a man, that Reggie Bush is not half the football player Darren Sproles is. WWL Radio's Hokie Gajan marvelled Friday night about Sproles doing amazing things every time he gets his hands on the ball, whether it be on a screen pass or a draw. Yet, ESPN Radio's Mike Greenberg and Mike Golic (Mike & Mike) have a much different view of things. They see the elusive Sproles as a downgrade from Reggie Bush. 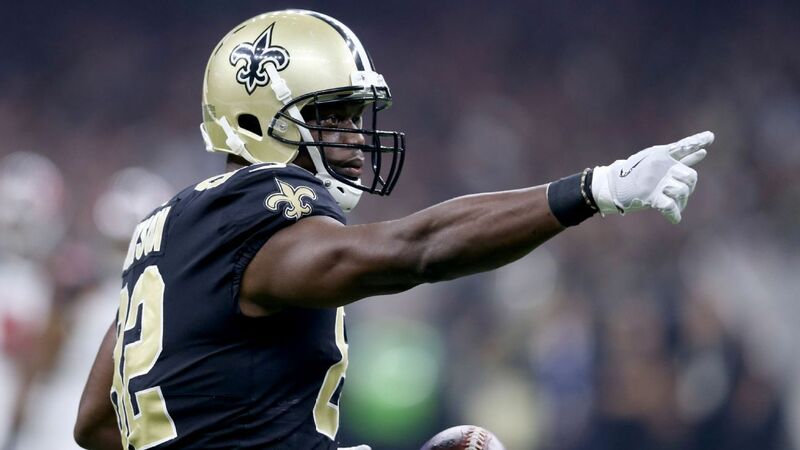 They say Sproles doesn't bring as many things to the table and that the New Orleans Saints' offense will fall off dramatically now that Bush has departed for the Miami Dolphins. Never mind the fact that Sproles has nearly 10,000 total career yards compared to Bush's 5,000. Forget that former Saints players, like Gajan and Bobby Hebert, can not stop singing the praises of the diminutive Sproles after each practice. When it comes to the Saints, Mike & Mike have never allowed the facts to interfere with their evaluation of the team's chances. To Mike & Mike's credit, they do concede that Drew Brees is still one of the game's "elite" QBs, but they quickly temper that by pointing out his career high number of interceptions from one year ago. No mention that Brees was likely playing hurt and had no running game last year. And while Mike & Mike say the Saints are one of the teams that could go to the Super Bowl, they qualify that by saying that anything is possible. Even the lowly Washington Redskins could go to the Super Bowl, they say. Yeah, there's not much respect for this 2009 Super Bowl champion coming from ESPN's morning team. They talk about the Atlanta Falcons' supremacy, how the Tampa Bay Buccaneers are improving and that the Carolina Panthers should be a whole lot more dangerous with Cam Newton at the helm. Mike & Mike say you have to pick one team in the NFC South to fall by the wayside, and that team may as well be the Saints. Mike & Mike say the Saints are only a 9-7 team without Reggie Bush. They think Bush is the real deal and Sproles is not. Meanwhile, Sproles quietly goes about his business with little fanfare, except from those who have the privilege of watching him in action every day down in New Orleans.